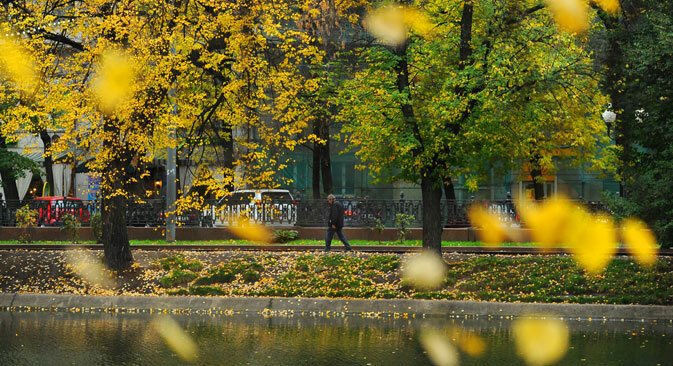 In Dostoyevksy’s first novel, Poor Folk, (which is in the form of letters between two people), Varvara Dobroselova writes: “How I used to love the country in autumn! Then but a child, I was yet a sensitive being who loved autumn evenings better than autumn mornings. I remember how beside our house, at the foot of a hill, there lay a large pond, and how the pond--I can see it even now!--shone with a broad, level surface that was as clear as crystal.” In her letter to Makar Devushkin, Dostoyevsky’s protagonist continues to vividly describe the season in the countryside and the “golden time” that was her childhood. Dobroselova goes on to write: “Carried away by these memories, I could weep like a child. Everything, everything comes back so clearly to my recollection! The past stands out so vividly before me! Yet in the present everything looks dim and dark! How will it all end?--how? Do you know, I have a feeling, a sort of sure premonition, that I am going to die this coming autumn; for I feel terribly…” In his later books, Dostoyevsky would continue to draw metaphors from the season. “The world of fancies will fade, dreams will wilt and die and fall like autumn leaves from the trees,” he wrote in White Nights.